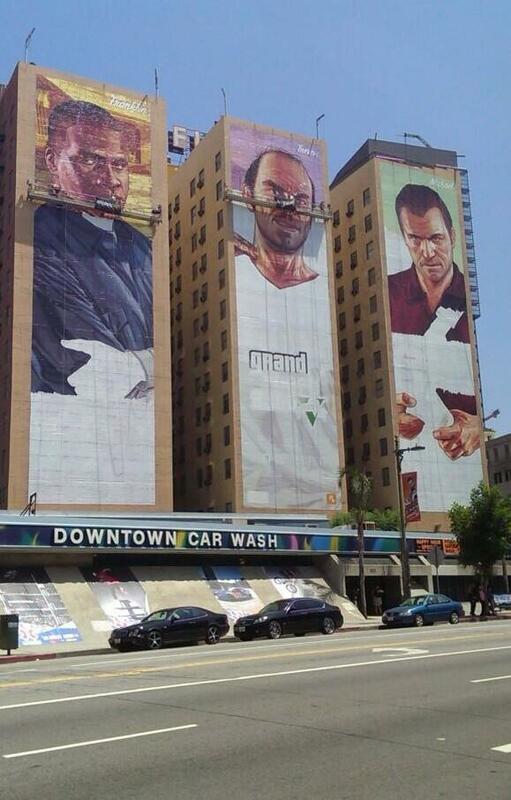 Murals of Grand Theft Auto V started popping up a few days ago in Los Angeles & New York, with the most prominent one being the Figueroa Hotel in downtown LA. 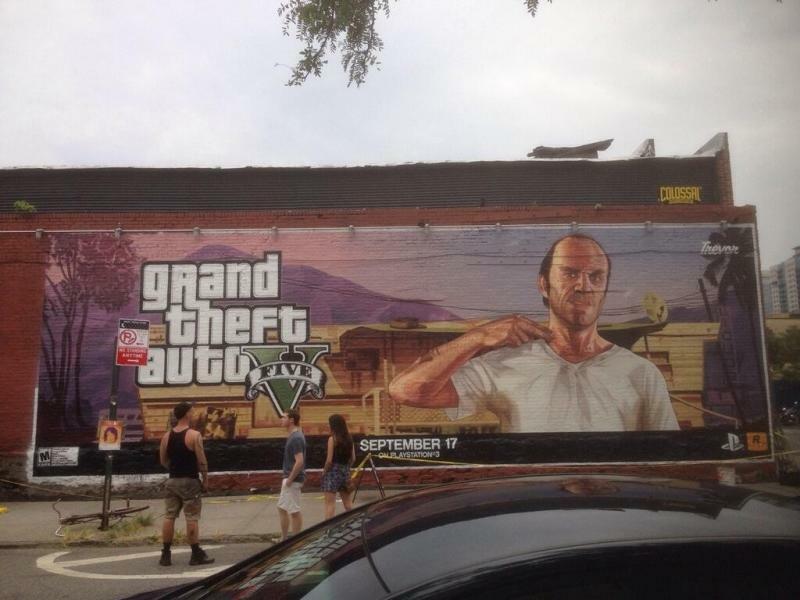 Trevor's art is new as well. We'll keep you updated on the Figeuroa Hotel mural because it is not finished yet. UPDATE: The hotel mural is now complete. 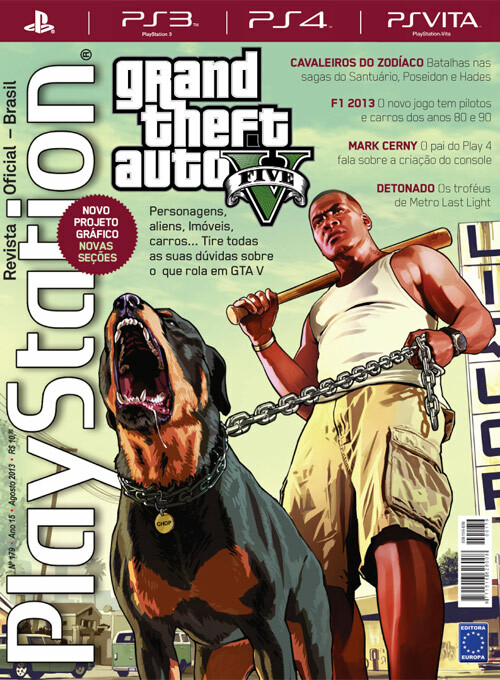 A Brazilian Magazine, 'Playstation Revista Oficial' was translated on reddit and posted on our forums. But be warned, some of the new info in those links contain story spoilers so for those you that still want to keep that a secret, i suggest turning back. While you can click on the links above for the full breakdown, there's only a few pieces of new information that haven't been mentioned before. 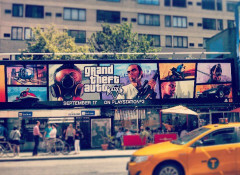 For the first time in the series there are Bus routes. 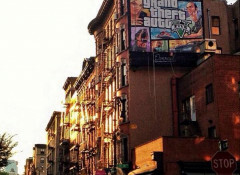 In the game there will be a social network where you can see videos, pictures, and etc. The in-game Social Network is an interesting mention. 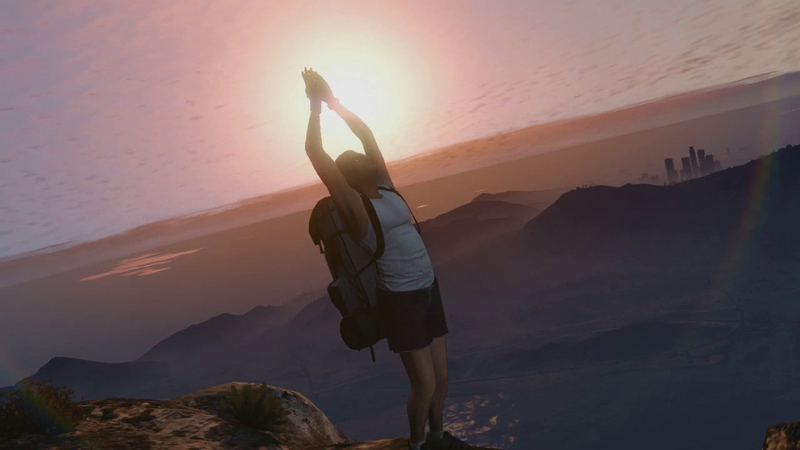 We'll see how that is tied into the online features, and/or within the single player experience as well. 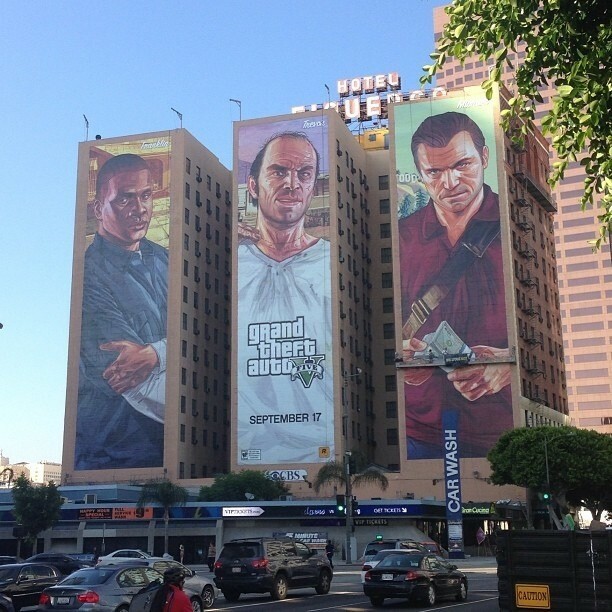 As always hop on over to the GTAV Forums to discuss all things GTA. That wasn't an actual route. You could sit at any bus stop and let tons of people get on for the fee. There was no set order and no schedule. There was an actual working bus route in Vice City. You couldn't get a free ride, but if you jack the bus and drive the route you can actually drop off and pick up passengers. About where it says "Michael starts the game in a hotel...", does that mean when we plug the game in, and install it, then play it, it'll start out as Michael? We'll be playing with him first in other words? Who will be next and last, any idea? I'm not really that way with spoilers. 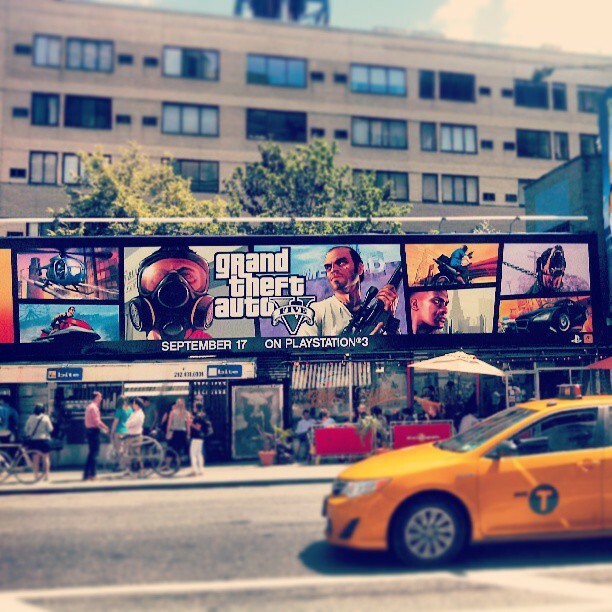 I could read what the story line is in full and I'll still buy, play, and enjoy. But everyone isn't like me. Well it's getting to the point where some people are shying away from new information as far as the story or the protag's lives. 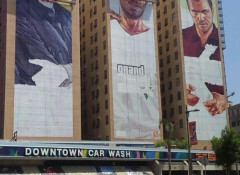 A small courtesy to them in an article that also features some cool advertisements. 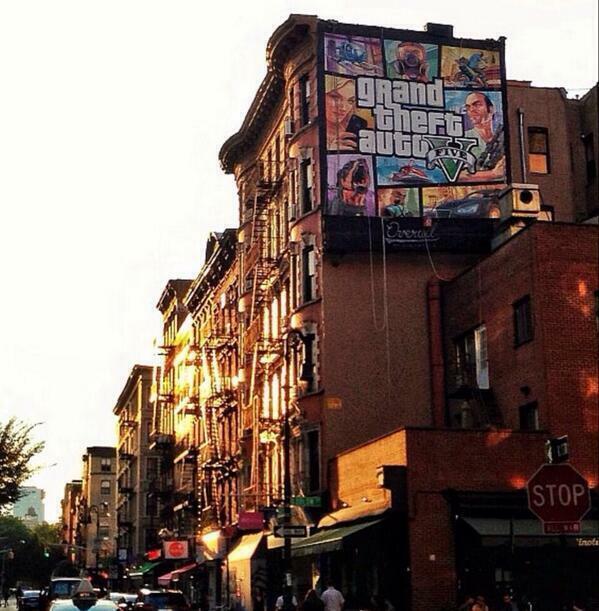 New GTAV Murals and Info from Brazilian Magazine - GTAV murals are popping up in New York and LA. 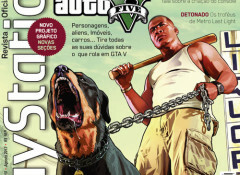 The Brazilian Playstation Magazine drops some new info with their preview.